Henry David Thoreau had a mind that was intelligent, complex, and rigidly righteous. He was born in Concord, Massachusetts in 1817, into a family of uppity Unitarian abolitionists. After attending Harvard, he worked as a schoolteacher for a few years. Later, he lived with Ralph Waldo Emerson, serving as a tutor, handyman, and editorial assistant. Emerson took him under his wing, and encouraged his literary efforts. Emerson owned land on Walden Pond, and he allowed the young man to build a cabin there. 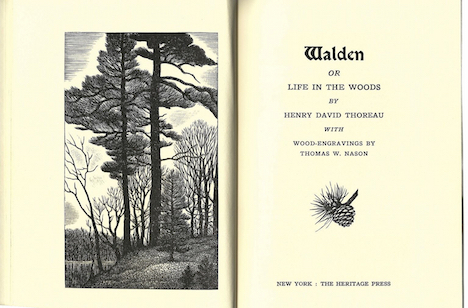 Living by the pond led to experiences that inspired Thoreau’s classic, Walden. Thoreau built the cabin at age 27, and moved out at 30. His thinking was not yet set in concrete, and it wandered to many regions in the world of ideas, tirelessly searching for eternal truth. He read the ancient classics in Greek and Latin, and discovered that enlightened philosophers preferred paths of voluntary simplicity. He adored Native Americans, because they thrived in wildness and enjoyed a simple life. He worshipped nature, and loved spending time outdoors. Unfortunately, he was born during a diabolical hurricane of what is now called Sustainable Growth™. Concord was becoming discord, as the ancient forest was replaced with gristmills, sawmills, cotton mills, a lead pipe factory, and a steam powered metalworking shop. It was rare to stroll by Walden Pond in daytime and not hear whacking axes. Railroads were the latest fad for rich folks. Countless trees were hacked to death to provide millions of railroad ties. By 1850, just ten percent of the land around Concord was forest, and wild game was getting scarce. Obviously, the residents of Concord were not philosophers aglow with timeless wisdom. They were also not wild folks who had lived in the same place for thousands of years without destroying it. These new people acted crazy! They were possessed, out of their minds, infected with the highly contagious status fever. They burned up their precious time on Earth in a furious struggle to appear as prosperous as possible — fancy houses, cool furniture, trendy clothes. If a monkey in Paris put on a traveler’s cap, then every monkey in America must do likewise. Thoreau was not impressed. “A man is rich in proportion to the number of things which he can afford to let alone.” In 1845, he moved into his tiny new cabin. He hired a farmer to plow two and a half acres (1 ha), and then planted a bean field. Using a hoe to control the weeds proved to be far more challenging than his fantasy of humble simplicity. The net income for a summer of sweat and blisters was $8.12, far less than envisioned. He learned an important lesson, and this experiment was not repeated. The second summer included a pilgrimage to Maine. He had a gnawing hunger for genuine wilderness that Concord could not satisfy. He also wanted to meet real live Indians, and be invigorated by their purity. Alas, Mount Katahdin was a rugged wilderness without trails, and the philosopher from Harvard was shocked by how difficult it was. Sadly, Thoreau never experienced a community that was fully wild, free, and at one with the land. He returned to Walden, a tame and comfortable place, and buried some fantasies. He wasn’t at home in wilderness, and he wasn’t at home in civilization. Could he find peace somewhere in between? He soon packed up his stuff, left the cabin, and returned to the Emerson home. He had learned a lot from 26 months of solitude, but he was wary of getting stuck in a rut. 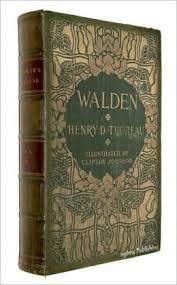 After eight years of work, and seven drafts, Walden was published in 1854. It caught the world’s attention, and he finally had a steady stream of income. 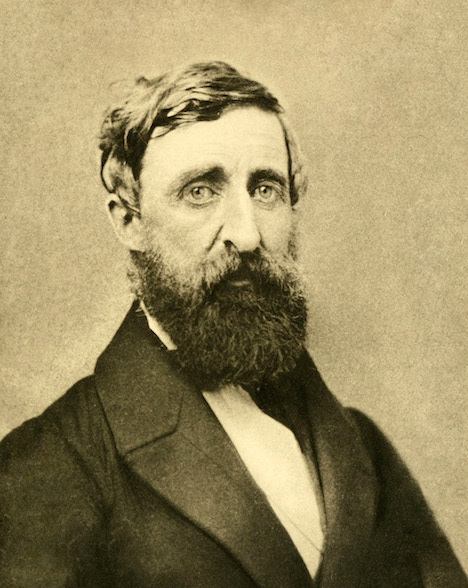 Thoreau’s sister died of tuberculosis in 1849. His father died of tuberculosis in 1859. In 1862 it killed Henry, at the ripe old age of 44. 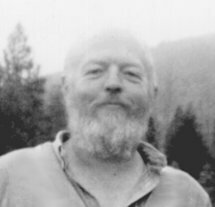 His core message was “explore thyself” — question authority, question everything, every day. Never assume that you are crazy, and never assume that your society is normal and sane — it is not! Stay away from status fever, and the living dead that suffer from it. Go outdoors! Live simply! Live! Live! Live! Thoreau’s world was deranged. But viewed from the twenty-first century, it looks far less crazy than our nightmare. He gathered chestnuts by the pond, a species that would later be wiped out by blight. The skies were often filled with passenger pigeons, now extinct. Millions of buffalo still thundered across the plains. He drank water directly from the pond. There were no cars or aircraft. Most folks moved by foot or horse. They did not live amidst hordes of strangers, they knew each other. None spent their lives inside climate-controlled compartments, staring at glowing screens. This article appeared on the author's What is Sustainable series, at What is Sustainable: Thoreau on August 14, 2015. Sims, Michael, The Adventures of Henry Thoreau, Bloomsbury, New York, 2014. Great approach to stress management and an icon to us fellow amateur naturalists!